Elaborate and historically accurate costumes, scenery - and intrigue - set the stage for the tale of Downton Abbey, presented as part of Masterpiece Classic. A four-part series, Downton Abbey airs Fridays at 9 PM, beginning January 28 on WSBE Rhode Island PBS (over the air on digital 36.1; on cable: Cox/Verizon/Full Channel 08, Comcast subscribers please check listings for local channel; on satellite: DirecTV 36, Dish Network 7776). Re-broadcasts are the following Monday at 1 P.M. 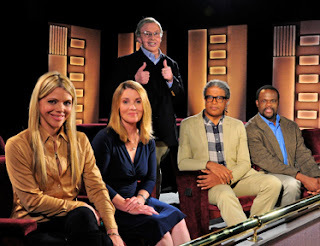 Grab a Front Row Seat as "Roger Ebert Presents 'At the Movies'"
Roger Ebert Presents 'At the Movies' returns to its birthplace – public television – as the weekly half-hour film review program launches nationally this winter. Locally, Roger Ebert Presents 'At the Movies' premieres Friday, February 4 at 8:30 P.M. on WSBE Rhode Island PBS (over the air on digital 36.1; on cable: Cox/Verizon/Full Channel 08, Comcast subscribers please check listings for local channel; on satellite: DirecTV 36, Dish Network 7776). Roger Ebert Presents 'At the Movies' continues the movie review format first introduced by Gene Siskel and Ebert 35 years ago, and later continued by Ebert and Richard Roeper. In 1975, Siskel and Ebert launched "Opening Soon at a Theater Near You," renamed "Sneak Previews" in 1976. The program went on to become the highest rated entertainment show in PBS history. The original format moved into syndication as "At the Movies" in 1982 with Tribune Entertainment and, for a quarter-century, with Buena Vista Television. In addition to reviewing new movies, the show will expand to cover New Media, special segments on classics, on-demand viewing and genres. Look for the legendary (and copyrighted) "Thumbs Up/Thumbs Down"® format made famous by Siskel and Ebert. The program's principal co-hosts will be Christy Lemire, film critic of The Associated Press, and Elvis Mitchell, host of "The Treatment," distributed by KCRW public radio. Regular contributors and occasional co-hosts will be Kim Morgan of Los Angeles and Omar Moore of San Francisco, both respected and popular film bloggers. Ebert will co-produce and will appear in every episode, in segments titled, "Roger's Office," devoted to classic, overlooked and new films. Having lost the ability to speak after extensive jaw cancer surgery, Ebert will employ a computer voice in his segment. He said he will not debate with the two co-hosts, "They'll be awarding the Thumbs, and you can't have three Thumbs." THE TENTH INNING is a two-part, four-hour documentary film directed by Ken Burns and Lynn Novick. A new chapter in Burns's landmark 1994 series, BASEBALL, THE TENTH INNING tells the tumultuous story of the national pastime from the 1990s to the present day. THE TENTH INNING airs on Thursdays, beginning January 27 at 9 P.M. on WSBE, over the air on digital 36.1; on cable: Cox/Verizon/Full Channel 08, Comcast subscribers please check listings for local channel; on satellite: DirecTV 36, Dish Network 7776. In the summer of 1868, paleontologist Othniel Charles Marsh boarded a Union Pacific train for a sight-seeing excursion through the heart of the newly-opened American West. While most passengers simply saw magnificent landscapes, Marsh soon realized he was traveling through the greatest dinosaur burial ground of all time. Ruthless, jealous and insanely competitive, Marsh would wrestle over the discovery with the other leading paleontologist of his generation -- Edward Drinker Cope. Over time, the two rivals would uncover the remains of dozens of prehistoric animals, including over 130 dinosaur species, collect thousands of specimens, provide ample evidence to prove Charles Darwin's hotly disputed theory of evolution and put American science on the world stage. But their professional rivalry eventually spiraled out of control. What began with denigrating comments in scientific publications led to espionage, the destruction of fossils and political maneuvering that ultimately left both men alone and almost penniless. Over 30 years of intense competition, a time period dubbed "The Bone Wars" by the press, Cope and Marsh laid the foundations of modern paleontology, and in the end they all but ruined each other. Cope died in 1897 at the age of 56, and Marsh followed in 1899 at the age of 67. Neither man lived to see the work of his lifetime discovered by the public. After their deaths, museums in New York, Washington, New Haven and Pittsburgh began mounting the fossil skeletons collected over the previous 30 years and putting them on public display for the first time. Monsters of the past were not just for scientists anymore, and they continue to enthrall new generations to this day. Dr. Maria del Pilar Velásquez de Tondreau, director of Education Services at WSBE Rhode Island PBS, has been a tireless advocate of both adult education and video streaming* since she arrived at the station in 2002. Building professional connections, forging community partnerships, and promoting technology in education throughout her career, Dr. Velásquez partnered with the Rhode Island Department of Elementary and Secondary Education in 2007 to conduct a pilot program that introduced video streaming into existing Rhode Island adult education programs. The pilot project trained 35 GED instructors from 11 organizations that offered adult education. The project also included 11 adult GED education students, recommended by their instructors, to help the students develop basic computer skills and Internet navigation skills. The success of the pilot project resulted in extending video streaming services to adult education centers statewide. 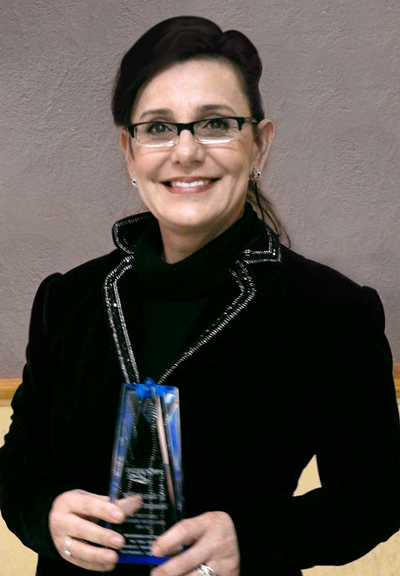 The impact of Dr. Velásquez's commitment and effort was no more evident than on a cold evening in December. That night, a large group of tutors, volunteers, families and friends gathered to celebrate the graduation of 20 students in the Adult Education Program sponsored by Progreso Latino in Central Falls, Rhode Island. "When we started our educational initiatives in our GED classrooms in October 2009, we began to see the impact that this initiative had. Our students began using the video streaming technology to access curriculum-based content and GED content online that completed their regular classes, developing different activities, and improving their basic and technology knowledge and skills on a daily basis while using these new educational tools." 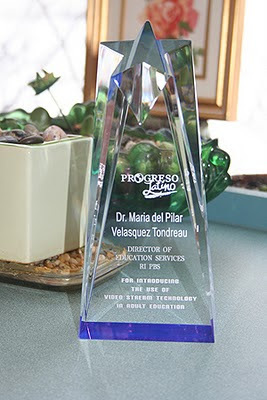 WSBE Rhode Island PBS offers hearty congratulations to all of the GED graduates from Progreso Latino, and warm thanks for recognizing the station's ongoing efforts to improve the quality of adult education in Rhode Island through the use of video streaming and digital media technology. The December GED certificate recipients from Progreso Latino adult education program are Luis Acevedo, Nubia Bulhoes, Mariela García, Norma A. Herrera, Antonio Larios, Fredy Medrano, María Morales, William Moscoso, Jeraldyne Ojeda, Lisandra Ortiz, Argelia Otero, Mirian Y. Paredes, María Pérez, Yeimi Portillo, Silvia Quiroa, Carlos Ruiz, Misneyi Ruiz, Ángela Sánchez, Nelva Sánchez, and Luz Zapata. One of the 20 recipients of the GED certificate, Norma Herrera, shares her story of challenge and learning success in a testimonial spot that is part of the WSBE Rhode Island PBS My Source media impact and public awareness campaign. The spot, which also includes Bueno, can be seen on the air on WSBE Rhode Island PBS (digital 36.1) and WSBE Learn (digital 36.2), and online at www.ripbs.org/mysource. *Streaming media technology - video streaming - enables the real time, or on-demand distribution of audio, video, and multimedia content over the Internet. Streaming media is the simultaneous transfer of the digital media (video, voice and data) so that it is received as a continuous real-time stream. Streamed data is transmitted by a server application and received and displayed in real-time by client applications such as the Microsoft's Windows Media Player or the QuickTime Player. These applications can start displaying video or playing back audio as soon as enough data has been received and stored in the receiving player's buffer. A streamed file is simultaneously downloaded and viewed, but leaves behind no physical file on the viewer's computer. 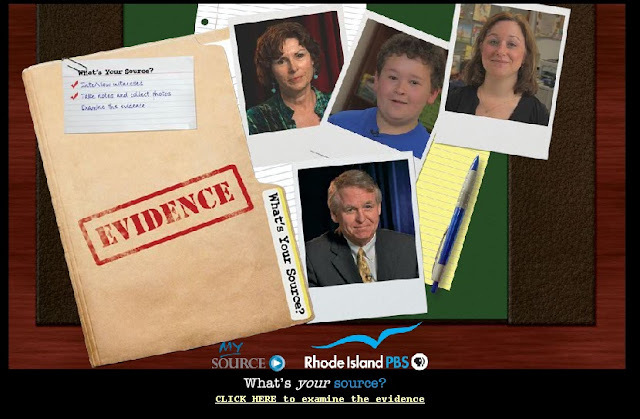 In a multi-media promotional campaign targeting community stakeholders, policy makers, and local audiences, WSBE Rhode Island PBS asks that cryptic question, and then offers testimonial evidence of the public television station's role in local education, and its impact on the community. The campaign is part of a national 'My Source' public media impact communication grant project, administered by the Corporation for Public Broadcasting and the National Center for Media Engagement. WSBE's application was one of only 40 chosen from among 111 proposals submitted by public television and radio stations nationwide. WSBE's 'My Source' campaign launches this week. "It's not often we have an opportunity to call attention to our work this way," said WSBE President and CEO David Piccerelli. "The grant made it possible to go outside our own air to remind Rhode Islanders about the great resource they have in WSBE – we're more than just great television." The print and Web creative for the 'My Source' campaign sets the atmosphere of an investigation – complete with evidence folder, scattered notes and photos – and asks, 'What's your source?' The on-air component is comprised of six spots, presenting testimonial evidence from students, teachers, and administrators, as well as from local filmmakers and media professionals. The spots range in length from 30 seconds to one minute and 20 seconds, and are built around the themes of class enrichment, community connection, local storytelling, and adult learning success. The companion Web site adds background information and puts the testimonials into context. The campaign will link to the station’s Facebook page, and the on-air spots are available on the station’s YouTube channel. The underlying message of the campaign focuses on WSBE's success in expanding the traditional definition of education, from classrooms to living rooms, from instructional programming to panel discussions and independent documentaries about local contemporary and historical issues and events. "Education is at the core of our mission," Piccerelli said, "but it isn't limited to the classroom." The first 'My Source' on-air spot starts in the classroom. It features students, teachers, and administrators from Lincoln High and Northern Lincoln Elementary Schools describing their experiences using WSBE's video streaming and education services. The spot concludes with, "Rhode Island PBS is my source for enriching my students' day-to-day curriculum." All of the spots have a similar ending, "Rhode Island PBS is my source for…" with the final words fitting the particular spot's theme. The second spot to air will feature four local independent filmmakers David Bettencourt (You Must Be This Tall: The Story of Rocky Point Park, On The Lake: Life and Love in a Distant Place, and It's a Bash! ), director of photography Jim Karpeichik (Rhode Island's Historic Lighthouses, When the Reds Ruled the Roost, Navy Heroes of Normandy), Professor Marian Gagnon (HERstory: The Founding Mothers of Johnson & Wales University and Johnson & Wales University's Men of Vision) and Maria Saracen (Ghost and Vampire Legends of Rhode Island). Their documentaries have aired as part of Rhode Island Stories, WSBE's one-hour Saturday night feature, dedicated to presenting local independent films with a Rhode Island connection. In the coming weeks, two more spots with school connections will debut. One features adult Hispanic students at Progreso Latino in Central Falls, who are studying for their GED certificate using video streaming technology made available by WSBE. The other spot features the founder and director of the Urban Collaborative Accelerated Program (UCAP), an independent middle school in Providence for students at risk of dropping out of school. Director Rob DeBlois shares the remarkable story about UCAP receiving several large donations from viewers after WSBE aired the documentary about three of the school's students, Accelerating America, by award-winning filmmaker and Brown University graduate Tim Hotchner. The final two testimonials are by Dave Layman, veteran Rhode Island television news director and anchor, and a frequent panelist on WSBE's flagship weekly political affairs program, A Lively Experiment; and Barbara Morse Silva, health check reporter for WJAR NBC-10. Barbara hosted two WSBE specials, one about the H1N1 (Swine) flu outbreak in late 2009, and one about the rising costs of RI health insurance and its alternatives. The print ad campaign will run in local newspapers and Web sites through January. The on-air spots will air throughout 2011 on a rotating basis on WSBE Rhode Island PBS (digital 36.1, Cox/Verizon/Full Channel 08, DirecTV 36, and Dish Network 7776; Comcast subscribers should check local cable listings) and on WSBE Learn (digital 36.2, Cox 808, Verizon 478, Full Channel 109, and Comcast 294). Click here for more videos in the My Source series. Last year, four classes of aspiring filmmakers were challenged to take new and fresh perspectives when creating short films about drunk driving. The challenge was part of a pilot project, Stay on the SENE... live well, drive safe and be creative! Thinking Through the Drink is the behind-the-scenes documentary about the project. WSBE Rhode Island PBS premieres the documentary on Saturday, January 15 at 7 P.M., with re-broadcast on Sunday, January 16 at 11 P.M., as part of its ongoing series, Rhode Island Stories. The grant-funded pilot project was sponsored by the Rhode Island Department of Transportation Office on Highway Safety, the University of Rhode Island Transportation Center, SENE (Southeast New England) Film, Music and Arts, in collaboration with the Rhode Island Film Collaborative. Filmed at the KLR Building, the University of Rhode Island, and Perishable Theatre in Providence, Kay Studios in East Providence, and The Artist's Exchange in Cranston, Thinking Through the Drink was produced by award-winning Rhode Island filmmaker Christian de Rezendes of Breaking Branches Pictures. Here is more information about the project when the films debuted at RISD. Tourism generates billions of dollars annually for Rhode Island's economy. Yet, there are critics who maintain we are not doing enough to showcase our state and, in turn, create jobs. This week's A Lively Experiment focuses on the business of tourism in our state. Dan Sullivan - President and CEO, Collette Vacations in Pawtucket, RI. Collette Vacations is one of the leading escorted tour companies in the world. Dan has been critical of the state's tourism policy. Jeffrey Hirsh - Board member, Rhode Island Convention Center Authority. Jeff is also the owner of Bristol's Lobster Pot restaurant.